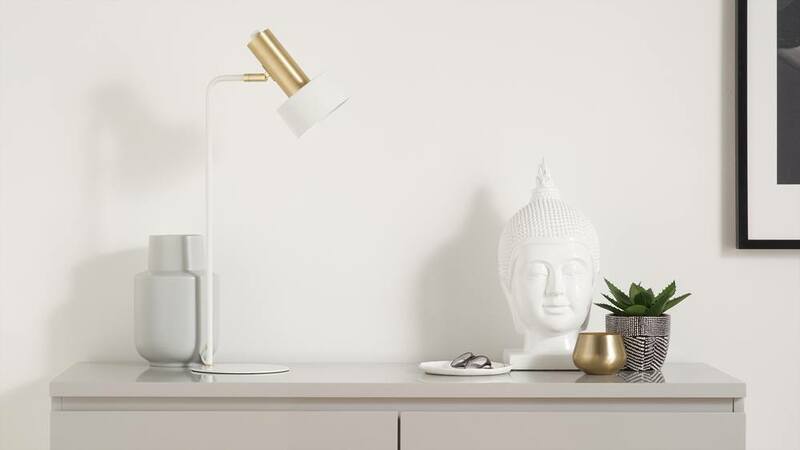 Table lamps are incredibly practical, and with the Alma White and Brass Table Lamp, you'll be able to give your space a guiding glow whilst also creating a warm and inviting ambience. 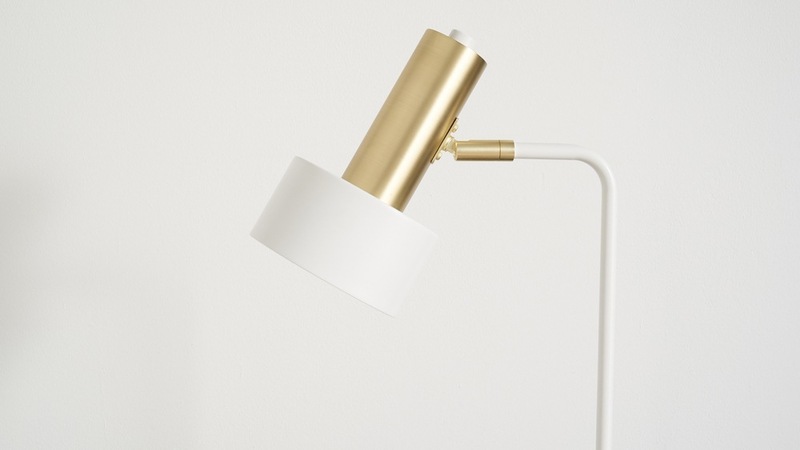 This modern table lamp has a semi-matt white finish with a brass accent on the top of the shade. The brass accent gives the Alma a modern edge and is an easy way to introduce a contemporary finish to your interior. 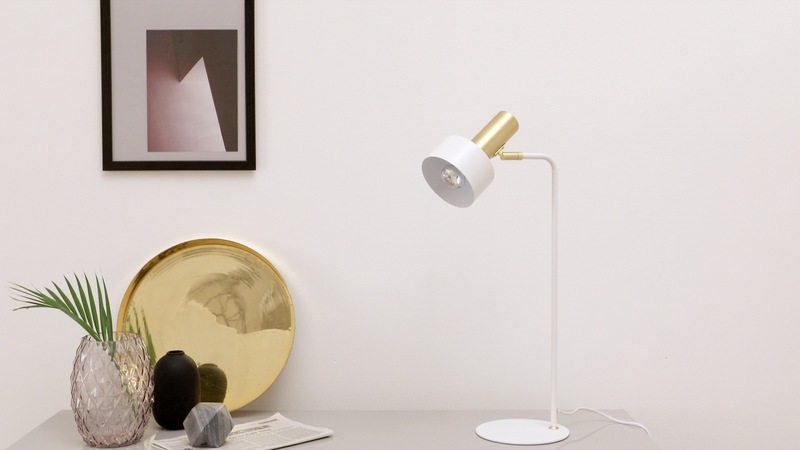 The frame of the Alma isn't adjustable, however, you can change the angle of the lampshade. This is perfect for desk lighting as it'll help to focus attention and reduce eye strain when working in your study. 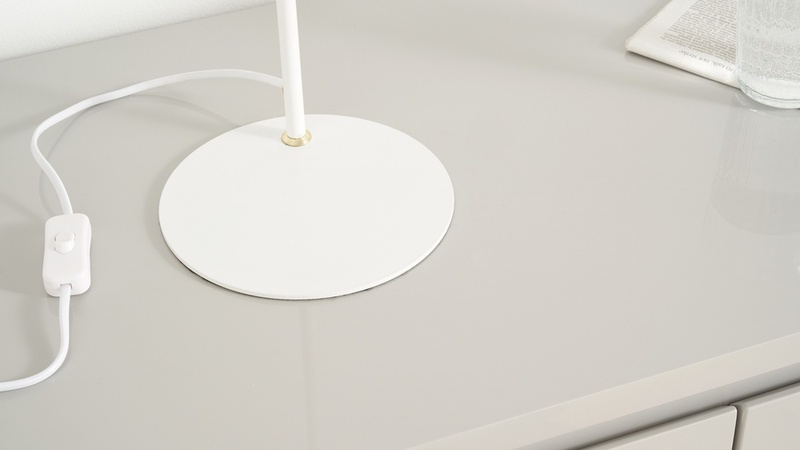 This white table lamp has a protective matt on the underside of the base to help protect your table surfaces. 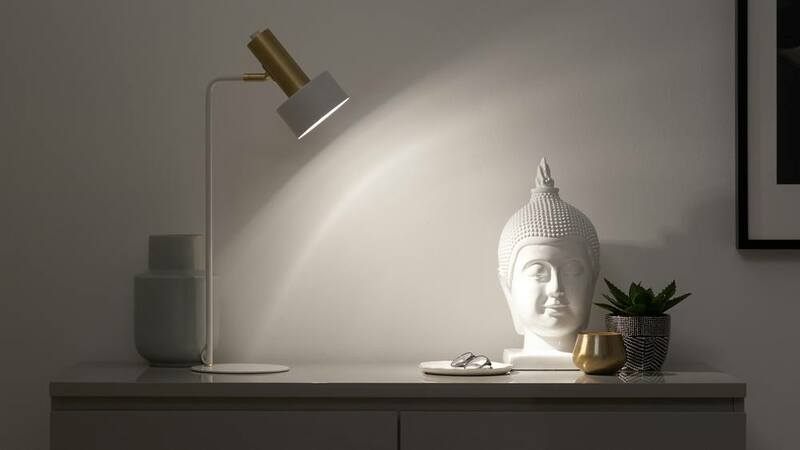 Designed for indoor use, the Alma lamp has been tested to British standards, so you know you're choosing quality and safe lighting for your home. The bulb for this lamp is not included. You'll need an E214 bulb with a max of 60 watts. The Alma table lamp is also available in a black and brass colourway if you're looking for something darker to coordinate with your space.